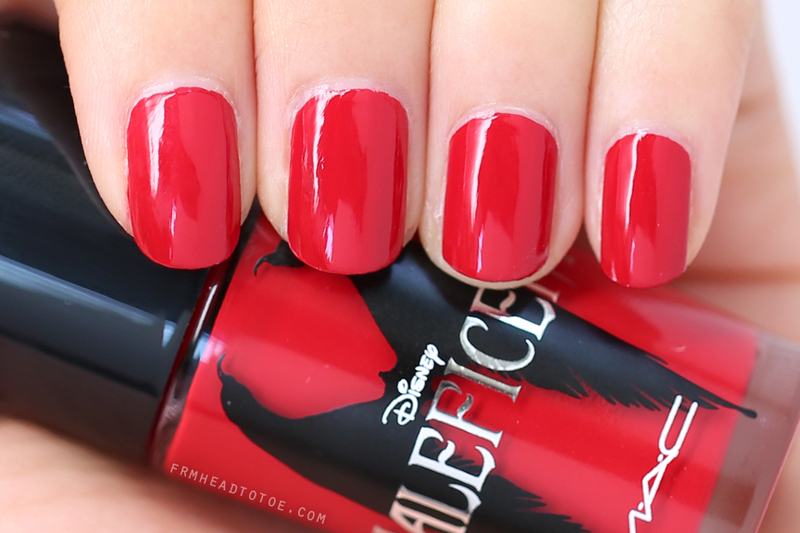 Manicure Monday: MAC Maleficent "Flaming Rose"
Do you have Maleficent fever yet? I, for one, am in shivers admiring Angelina Jolie's stunning and untouchable appearance in the movie. MAC's recent collaboration with Disney's Maleficent includes several Maleficent-inspired beauty products but Flaming Rose polish especially stood out to me. 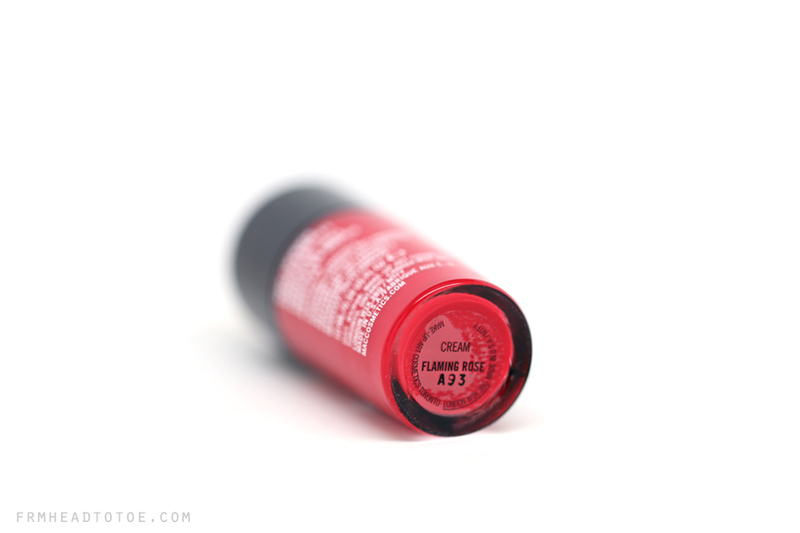 MAC's Flaming rose is a true neutral, bright red polish that is totally opaque and easy to apply in 2 coats. Here I used a base of butter LONDON Nail 999 base and topcoat. I actually found it very easy to control this brush and get a clean cuticle line compared to other polish brands. And how cute is the bottle? I love how the black wings stand out against the red! As I mentioned before, this polish ran very neutral if not a tad bit on the cool side for a very clean look on the hands. If you are interested in picking up Flaming Rose, it's still available now for a limited time at $17.50 via MACcosmetics.com. You can also find the same color (non-LE packaging) at Nordstrom and Selfridges. Readers, have you seen the new Maleficent movie? Do you tend to buy special-edition beauty products? Let me know in the comments! Love this bright red color, and can't wait to see the movie! I heard it was ah-mazing! This is such a pretty red on your hands! I usually keep reds for my toes.. but once in a while a red wouldn't hurt especially something as pretty as this! I regret not getting this I missed out on the lipstick and the beauty powder so shattered but I might order it from the US! Love this colour so much!! It's really pretty, but it looks similar to me to a opaque nail polish I have by rimmel. I can't compare the two, but maybe it'll be a dupe for people who can't afford the MAC limited edition polish? It's called stand to attention! Absolutely love the tone of reds in this collection! Gorge! Woah this shade is just gorgeous! Nice color! It's hard to find good red nail polish that isn't too red, or too dark. It's tempting to get, but the $17 price tag is putting me off a little lol (I'm cheap when it comes to nail polish). Love red colour on lips and nails!!! !